2019 Easter Egg Hunt and Holiday Feast! Check Out Our New Candle! abundance we can eliminate hunger. 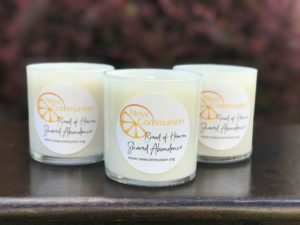 The scent is a blend of vanilla, frankincense,and myrrh. provide groceries for two families of four.